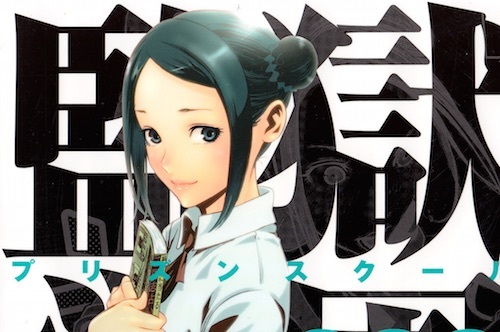 Yokoyama Mitsuko is the secretary of the Student Council at Hachimitsu Academy, a high school that until recently was an all-girls’ school, and which treats male students like dirt. Her nickname, Pythagoras Dojikko, comes from her immense intelligence combined with her clumsiness. As part of the Student Council, she works under Student Council president Takenomiya Kate and opposes the Underground Student Council headed by Kurihara Mari. Her sister Anzu is part of the Underground Student Council. A big fan of Romance of the Three Kingdoms (her name is a reference to Yokoyama Mitsuteru, famed manga creator who drew a manga version of the classic Chinese tale), Yokoyama befriends another history lover in Morokuzu Takehito (aka Gakuto), one of the few boys in the school. However, Yokoyama is also a fujoshi, and her love of Three Kingdoms also extends to her pairing its legendary historical figures. When Gakuto creates a misunderstanding with his friend Joe, Mitsuko begins pairing them as well. Yokoyama is particularly fond of the pairing of Romance of the Three Kingdoms characters/historical figures Guan Yu and Zhuge Liang. This entry was posted in fujoshi, fujoshi files, manga and tagged kangoku gakuen, prison school, yokoyama mitsuko. Bookmark the permalink.